And yesterday i finally submit required documents for taking doctorate degree. The research proposal 6 pages, curriculum vitae, ID card, 1 recommendation letter from PhD or DR (i need one more), registration form, and statement letter for tuition etc. My colleague friend, Muhamad Is is really taking this class too. Finally, partner in crime. 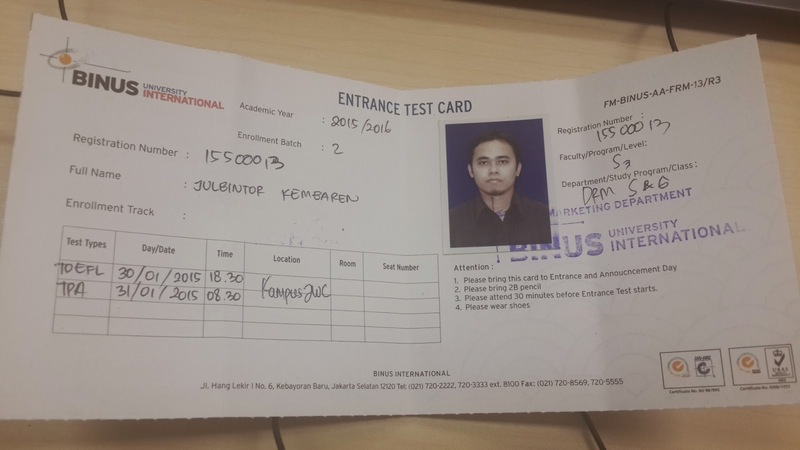 After the submission, i got the entrance test card. The test will be held on 30 and 31 January consist of TOEFL and academic potential test. If i passed, the class will be begin on 24th February (ah, no more holiday on Saturday).